Result: 8 – The winner is Emma! Jello is one of those things that is so hard to find as a vegan since traditional jello is made with gelatin. For those of you who are not aware gelatin is ” is a translucent, colorless, odorless, brittle, nearly tasteless solid substance, derived from the collagen inside animals’ skin and bones.” Gross right? 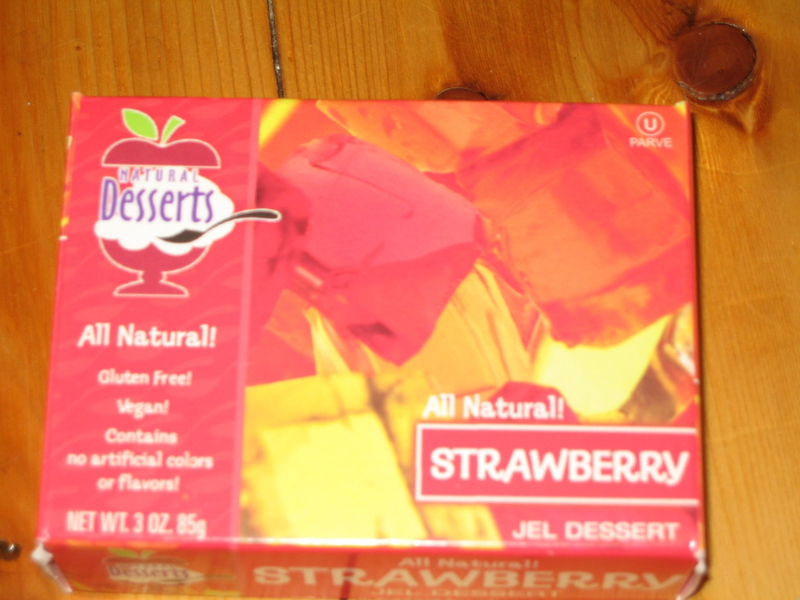 Well Natural Desserts has created an all vegan jel dessert that is available in Orange, Cherry, Raspberry and Strawberry. I also believe they have a flavorless kind as well. Well now it is your chance to take advantage of this bonus giveaway and try some vegan jello for yourself! You have until 7:30pm tonight- December 8,2009 to enter. Vegan jello! That’s something else. I’ve been looking for a non-gelatin gel on and off for a while now. How cool! I didn’t know there was such a thing as vegan jello! The concept of vegan jello is confusing to me. Yum! Enter me! I used to be able to find vegan jello at a little health food store here, but it’s closed now and Whole Foods doesn’t carry it. i didn’t even know there was a brand of vegan jello! sign me up!